Our Star will go yonder for a couple of years and we will continue to follow him till he returns. But this is Christmas and the star of David is not David the star. Christmas is about the birth of the Christ child and what that means for all mankind. Whatever your faith, it is a time for being thankful and joyful for what really matters most. People to love and gifts to share. Not just those of a material nature as the gold, frankincense and myrrh the wise men gave, but the gift of ourselves and not just at Christmas but every day. This Christmas I hope we can all find true meaning and joy through giving. I will start by sharing my favorite scene from my favorite Christmas movie and end with David singing the carol from the closing music. Merry Christmas and Happy Holidays from all of us at The Voice to all of you. 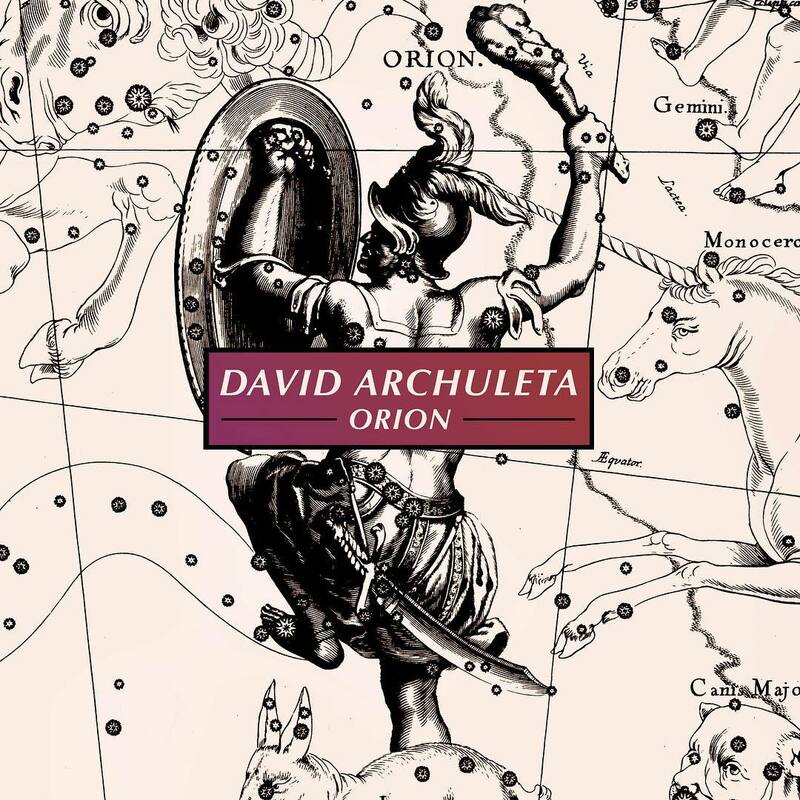 This entry was posted on Friday, December 23, 2011 at 11:30 PM	and is filed under David Archuleta. 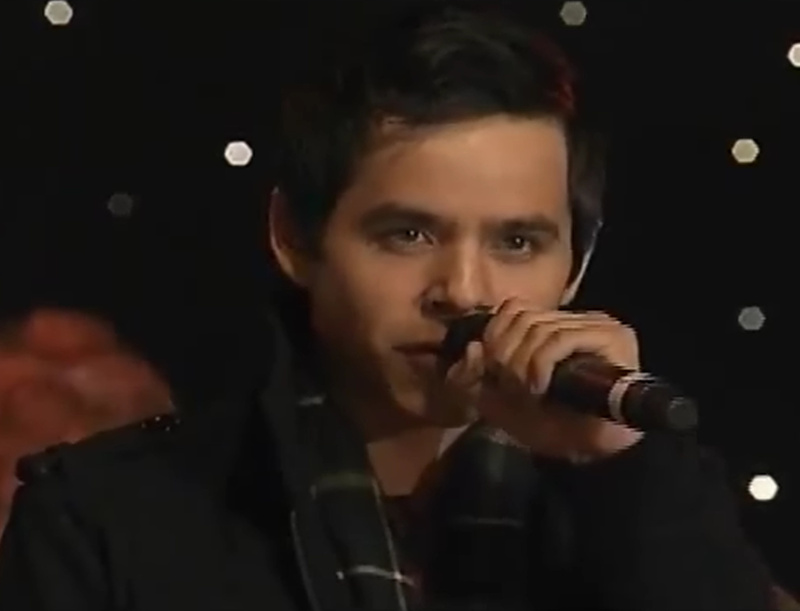 Tagged: David Achuleta, God bless us everyone, Merry Christmas. You can follow any responses to this entry through the RSS 2.0 feed. You can leave a response, or trackback from your own site. A very beautiful & poignant post for this very bittersweet Christmas. At least for some of us. It’s difficult right now to get completely into the spirit & joy of this Holy occasion. My mind is trying, but my heart is just not in it. I keep telling myself perhaps tomorrow it will be better. Like so many, I could not look at or listen to David immediately after his announcement, but I remembered that only his Voice had the power to soothe my anguish. His is the only Voice I can listen to. There will never be another like David, who will always be The Voice. Wishing a Blessed Christmas to The Voice Family! Thank you for the special post, Angelica! It holds so much meaning right now. I’m am 100% behind David in his decision. It pains my selfish side to think of him being gone for 2 years, but I’ve realized the growth that will come to him as he serves. I’m so grateful for this site, and wish all of you a very beautiful Christmas with lots of love in your life. I have been helping my husband with a little project he did for all the grandkids and while cutting paper and stuffing books I was listening to my ipod and this song came on and it is a song that totally comforted me when my two sons went on their missions. Take time to go listen to this song by Janice Kapp Perry, called “In the Hollow of Thy Hand”. It is absolutely stunning also sung my David Glen Hatch, and actually by anyone who sings it. It just is a perfect prayer sung for our missionaries throughout the world. I am in tears right now as I think of David leaving on this two year adventure and I know that he will be greatly blessed as will his family. Hope you enjoy and feel the message of this song as I have tonight, and as I did throughout my sons missionary service years ago. Love you all, and hope that you will all find the comfort that I have found soon of David leaving us. This place is like home. Angelica, warm holiday wishes to you and your family, as well as to everyone else who is reading this. Writing about David has always just flowed from my heart to the keyboard. It’s not that easy anymore, because my heart has been broken by David’s decision to silence his magnificent voice. I realize that David is a member of a religion that sends it’s young men out into the world on Missions. 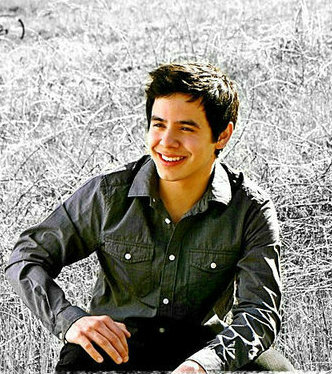 That would be fine if David Archuleta was an ordinary 21 year old who is trying to find some meaning in his life. There are thousands of young men in the Mormon world who can do this. They would be missed only by their family and friends, just like any young man or woman who enters the military would be missed. David is not one of these men. David touches thousands of people every day, directly and indirectly, and makes their life better. Look at the picture of David today with that young girl who is obviously seriously ill. Does that look like an ordinary young man? David brings joy and hope everywhere he goes, every time to speaks, every time he breathes. When he sings, he lightens burdens, he heals souls that have been aching for decades, and fills the room with a warmth that must be experienced to be believed. David has always been uncomfortable with the notion that he is “special”. It’s not easy being extraordinary and humble at the same time. It must be a constant source of conflict for David to be adored, even worshiped, by all these people when he’s is trying to remain rooted in humility and gratitude. I realize that David’s cup runneth over with gratitude for all that has been given to him, but he has earned everything that he has. No one works harder than David. He deserves everything that these past 4 years has given him. If he sold out to the vultures in the music business, he would have been even more successful. 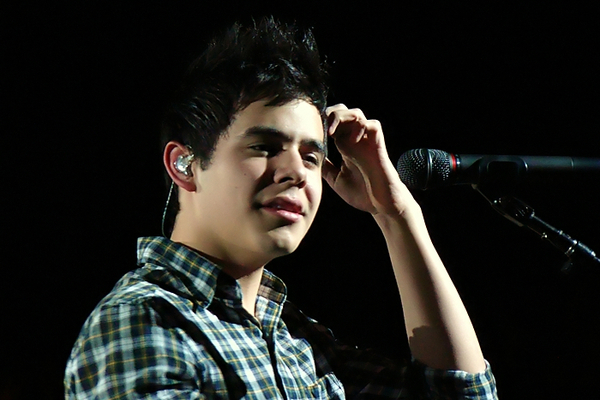 Does anyone in the business really think that Justin Bieber is more talented than David Archuleta? David has much too much to offer in the secular world to spend the next 2 years doing what any 21 year old can do. His performances on this MKOC tour clearly showed that he is completely in a class of his own as a singer and live performer. He is also a humanitarian and healer like no other. People of all faiths, nationalities, ages, and circumstances need him, not just Mormons. I call upon one of the elders in David’s church to take David aside, thank him for his devotion to their church, and to strongly advise him to reconsider this decision on behalf of the hundreds of thousands of people that he has uplifted in the past 4 years and the countless people who will need him in the immediate coming years, not 2 years from now. David may be only 21 years old, but he has the heart, the soul, the wisdom and the vision of someone too old to go on this Mission. His Mission has already been accomplished. To David I would say, you wrote “Somebody Out There”. To all of your fans, all over the world, that “Somebody” is you. Salutations, fellow night owl. I understand your heartbreak over his decision. Can you understand that he is a complex man with more than one mountain to climb? He wants these two years to devote solely to serving God. That is his choice and his answered prayer just as singing with one vocal chord and being thrust onto the world stage was also an answer to a prayer. Can you allow yourself permission to believe, if only a little, that he is following exactly the path he started on and was meant to trod to reach his dreams? His voice is more than sound, it is a conduit to the Divine. Let him open himself up completely to that force and when he returns, he will be what came to me as a whisper in a dream with the power of an epiphany: he is unstoppable. A very Merry Christmas to Every one !!! I also hope for all of you and all of David’s fans the blessings of Christmas and all that it means – love and hope. I am in complete agreement with you, Blisskasden. You have articulated, beautifully, my feelings. However, I am certain that David believes, with all of his heart, that this mission is something he has been called to do. At first, when I heard the news, the “lights went out”. I thought of nothing but my own sense of loss – of that safe place that would no longer be there – where I could go to re-center the axis of my world because his voice and his presence in my life created a sense of calm and hope. I didn’t ask for this to happen. 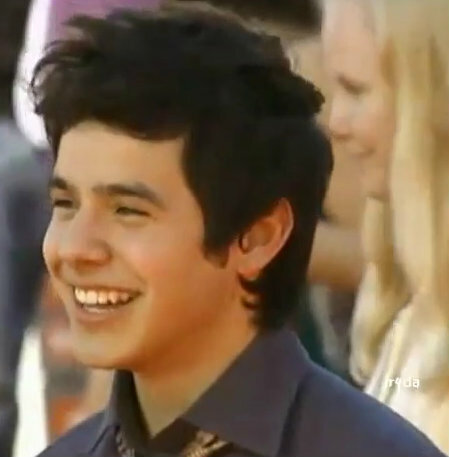 I never watched Idol before David – it was an twist of fate that I even tuned in at all. 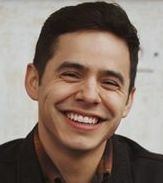 I thought my life was in good balance but, after following David and connecting to his voice and his soul, I realized how there was an emptiness that only listening to his voice and seeing that beautiful smile could fill and I was hooked. I guess it’s not for me to question the timing of this nor deny the sadness I feel about him moving on. I certainly don’t know what the future will bring, as far as David returning to the public stage. I do know that is what David wants to do right now but priorities change as life evolves, so I am not going to bank on anything until it happens. I also feel certain that, for me, I now know my faith needs to follow a different path and I will always be so grateful that David was put in my life to realize that. If David does come back, I will be there and support him because he is a gifted, humble, generous and loving person who can spark the good in humanity. He sparked it in all of us and, though the time was so short, he showed us how to continue. Perhaps, now, we can pay it forward. Wishing everyone at The Voice a Merry Christmas and Happy Holidays. Thank You for the beautiful post Angelica. Merry Christmas to all as we deal with our loss. David is very special to all of us. I appreciate everyone’s heartfelt messages. We had planned to sing a verse of that song Shawna to David along with We’ll Be There but timewise it didn’t work out. Love the picture of David with the girl at the Hospital. The mother and daughters were very touched and happy David came to sing. This jumped out at me as I read today’s post. The coming months may be without daily reports on David’s activities, but he has left us with a precious gift. The gift is community. It will sustain us and nourish our hearts as we come together here to wait. Last night we had a chance to come together as fans in one place, in real time, to talk about our feelings regarding David’s announcement. The video/chat site Unplugged http://www.livestream.com/thevoiceunplugged serves as a direct connection among all who come to visit. So many folks said that this was the first time they had been able to watch David sing since Monday. The emotions were to raw and they felt that they could not process the pain among those around them in their daily lives. Family and friends love us but they don’t have what it takes to ease the ODD angst at a time like this. I want to thank all those who came and supported those who were just beginning to accept his decision. Talking it out was cathartic and healing. Thank you Angelica for a new post that has such beauty for the eyes and ears. Happy holidays to everyone! Angelica, this is such a beautiful post. While we will miss David, he will be following the star that will lead him to where he needs to be. Angelica & Bliss, You both express your sentiments so beautifully. And I am on the fence, seeing both sides. While I completely see why David is doing what he needs to do, I can see the other side as well, that there are some of us who will find it very difficult for a variety of reasons. Many of us are here because there is something, not only in his David’s voice but in his persona, that feeds our spirits in a very special way. HOW and WHY he has done it is still a mystery to me. But done it he has. As hard as it will be, there is nothing any of us can do to change the fact that he will be leaving. As much as I will miss his presence in my world, I don’t think I would change it even if I could. This seems to be something he NEEDS to do. All I can do is thank David for giving me what he has and, because I truly care about David in a very special way , I will do my best to be happy for him. To our dear Admins, thank you so much for holding Chat last night. I think it was a balm to more than one aching heart. How about some awesome videos ??? Incoming video SPAM! First up is 8throwcenter’s amazing videos from the last few shows of the MKOC Tour. The KILLER video of all time! Mr. Jazzy! OTT look away at 2:35 GAH! Oh ya he sang pretty well too:) This video was declared proof positive that David will return to performing. There is so much inside him that needs to be expressed. I apologize. The other song we were going to sing was “God Be With You Til We Meet Again! at Beaver Creek. Not sure I would have made it through that one. We’ll Be There was special and it was hard enough to get through. If I could reach through the ether, I would hug you! If only there were a possibility that David could be persuaded to reconsider, but alas, knowing David as we have come to know him, that is merely wishful thinking. He had already begun and completed the first steps required before embarking on a Mission for his church, I believe he decided to do this shortly after his MoTab concerts. This was not a recent decision. Going back this last year, there were many signs he was stepping back. When I saw him at the VIP in Verona, he said something to me “about ME” which I took as a personal message to thank me in his own way for supporting him. Later in the hotel I knew that I had seen David up close & personal for the last time. I am happy that David is happy and I accept that David feels he needs to follow the call to do this. I also understand that his LDS fans are very proud of him and do not have the same feelings of “loss” that we non-LDS fans feel deep in our souls. I know his LDS fans will miss David as much as his non-LDS fans will. There is no doubt about that. But they have a better understanding of why David has chosen to do this so it is easier to accept. I believe some of his LDS fans, many of whom I have met and come to regard highly and with the utmost respect were as surprised but also overjoyed for David. I can’t blame them. Christmas came early for all LDS fans of David. I can’t begrudge the joy, love & immense pride his LDS fans feel for him at this time. I believe as one of David’s forever fans, we must console ourselves with the thought, no, make that the CERTAINTY that David will return a stronger, more mature & wiser man ready to forge ahead & continue using his immense talent & God-given Voice again as God intended and as if he never left at all. his Mission to be all he hopes for and that he will find what he felt was still missing in his life but which HE more than filled in ours. Thank you Abrra for all the videos. I still marvel at how unpredictable David is. He is the most complex & enigmatic of humans. He is an electrifying performer with the most amazing vocal ability & I can’t imagine how we will manage for two + years without seeing David doing what we just witnessed these past few weeks. How?? Bliss, you have me crying agaian, this time for the pain you are feeling. I do think David knows the joy he gives us. It must have been a bitterly tough decision for him, not to leave his career for a while, but to leave us who lean on his strength. I try to remember he has that strength because of his belief that it comes from God. He needs to follow what he believes is right or we will lose that spirit, that soul that means the world to us. He has to do this,,,, and so do we. Enormous hugs. Angelica, thank you for your wise and kind words to all of us. Thank you to all of you who have commented so wisely. I hope this holiday season is a Joyful one for all. I have my family with me for Christmas and am excited about joining our daughter’s boyfriend’s family for Hanukkah on Monday. I look forward to a Happy New Year with all of you. I haven’t read the post yet, but it looks like a good one. Busy day today as I’m sure it is for everyone. Just wanted to drop by and wish you all a Very Merry Christmas. May you day with family and friends be filled with joy, happiness and much love while celebrating what this holiday is all about, the birth of our Savior. And to David, Feliz Navidad! Soak up all you can this Christmas. You will need the memories for the next two that you will miss with your family, but know you will have lots of new family that will wrap you in their love and make those Christmas’ just as special. We will be praying for your happiness also so you will never be alone! SF your fingers typed so much of what I was going to say and you did it so well. Abs, thank you for your determination for brighter days ahead and we will follow. Bliss, I’d be crying my eyes out if I didn’t already feel sort of numb today as I deal with my own ups and downs to David’s news and also prepare to host holiday events for my loved ones. As I read your post, the melody to “And So It Goes” came into my mind. Made me feel as if we could sing that to him now. (Sorry, everyone, if that thought makes you sad.) Although I suppose I’m holding out hope that he’ll return stronger in 2+ years, the question remains as to how things will be upon his return. Lives change in two years. Ours will. His will. I don’t share David’s exact belief system but I’ve felt a calling, a few times in my life, to proceed in a certain direction or to open my heart to something or someone. Loving David was one of those times. I haven’t felt compelled to let that love fade, and that continues to give me hope. Big hugs to you and to everyone here. May you find a reason to laugh with and enjoy someone you love over the next few days. Soul David just posted the BEST RECAP I have read yet of David’s MKOC Tour. It’s awesome and filled with love, joy, tears & fun too! Abrra, thank you for that great group of videos I found here this morning. If anyone keeps us in touch with David, it is you! SF, I cannot speak for others, but this LDS fan has exactly the same feeling of loss as everyone. When my sons left for their missions, I felt like 2 years would last forever. It did not. But still, today David’s 2 years seems forever to me. Would like to recap a little something from Blackfoot. Over 3 years ago my friend brought me a piece of paper with “To Clair” (my alter ego) “David Archuleta” written on it. There should be an “e” on the end of my name, but I treasured this paper and was pleased that David had sat in my friend’s kitchen and written this note for me. In Blackfoot I told him I wanted to bring the paper to have him correct it, but it was glued to my wall. He dropped everything and asked “who has a piece of paper?” He found a scrap and wrote “e” with his silver marker. He frowned as he looked at it and said, “Oh, that should be in pen, huh?” I was ecstatic! “Just give me that scrap”, I said. The first thing I did at home was glue that “e” to my now perfect autographed paper. At that time I was thinking about how David would do anything for his fans. But the girl behind me had a picture in a frame she wanted David to sign. The picture was a collage with a temple in the middle and the faces of her family surrounding the temple. The only area without a face was the temple. “Sign right there” she said. He shook his head. “No, I can’t sign my name over the temple.” She urged him to do so. He brought out the Archiegaze and repeated “NO”. He found a tiny area on the edge and signed there. In the end we were all 3 happy. I had my “e”. She had her picture signed. David had not wavered from what he thought appropriate. 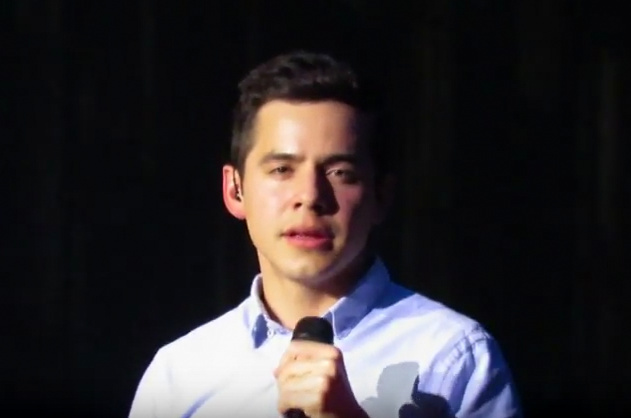 BTW…the only “Calling” I have ever had that I can recall is the “Call” I received to follow this young man back in early 2008 by the name of David Archuleta. It was as if I had no choice. I could not explain it then and still can’t although I tried many times to no avail. I came to accept joyfully and wholeheartedly that David would be a part of my life for the rest of my life and stopped questioning the why’s. It is what it is and there’s no denying just as he is living his destiny, I have to believe many of us were also destined to be here for him for whatever reason. It’s our holiday special with the ‘Fox & Friends’ crew! Geraldo’s here; we’ve even got snow! Have a great Chistmas Eve Day! Off to spend the day with family! Wishing everyone a beautiful eve and day with family and friends. I watched David with MOTab and it irks me that they cut out Silent Night and Cat and Mouse but David sounded and looked glorious. For those that haven’t seen him I believe this should spark an interest. Somehow, someway we will get through this. I couldn’t listen to David’s voice for a few days but now it’s what’s soothing my wounded heart. These days wouldn’t be complete with some David Christmas music. Even though I still shed tears they’re shed through a smile of hope and faith of what’s to come. David said he will be doing music even on his mission. So I remain optimistic for the future and thank God for David and the impact he’s had in my life. For me like for so many others it’s not a choice to be here, to support, to promote, and now to wait for David’s return. Angelica, I realize that David has been “called” to do this Mission, but that does not necessarily mean that it is the right thing for him to do at this time. It seems that no decision that is based on religious beliefs can ever be questioned. David is the personification of what a person of God should be. All he does is give, give give, and when he can’t give any more, he gives again. If there was a person who is doing God’s work here on earth, it is David. Loving David does not mean we have to agree with every decision he makes. If David were, let’s say, a master surgeon, would it be a good thing to have him suspend his talent to go away for 2 years and not serve the people who will need him. 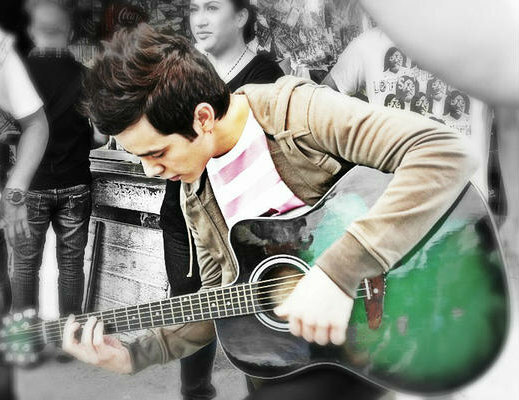 David’s talent to heal and uplift is, in and of itself, a gift from God. David uses that gift to serve his fellow man. Isn’t that what it’s all about? David’s fans, who love him like no person in the history of entertainment has ever been loved, are about to embark on a “Nuclear Winter” of 2 long years of no David, the love of their life. This is the same multitude who could barely endure 1 day without a tweet from him. One could hear a collective sigh of relief when David would tweet that he just had a mango sorbet after not hearing form since since “yesterday”. David hasn’t left yet. David’s fans can sing “We’ll be there” now, but when the reality hits that David is out there somewhere and is not allowed to contact his parents, much less his fans, they will be singing a much different tune. Of course, nothing is going to change David’s mind because he is grounded in the notion that this is what he wants to do, Like all of you, I love him and want the best for him. I just hope I am totally wrong in my belief that this Mission, at this time, is not what is best for anyone. Thanks for the Fox And Friends reminder! 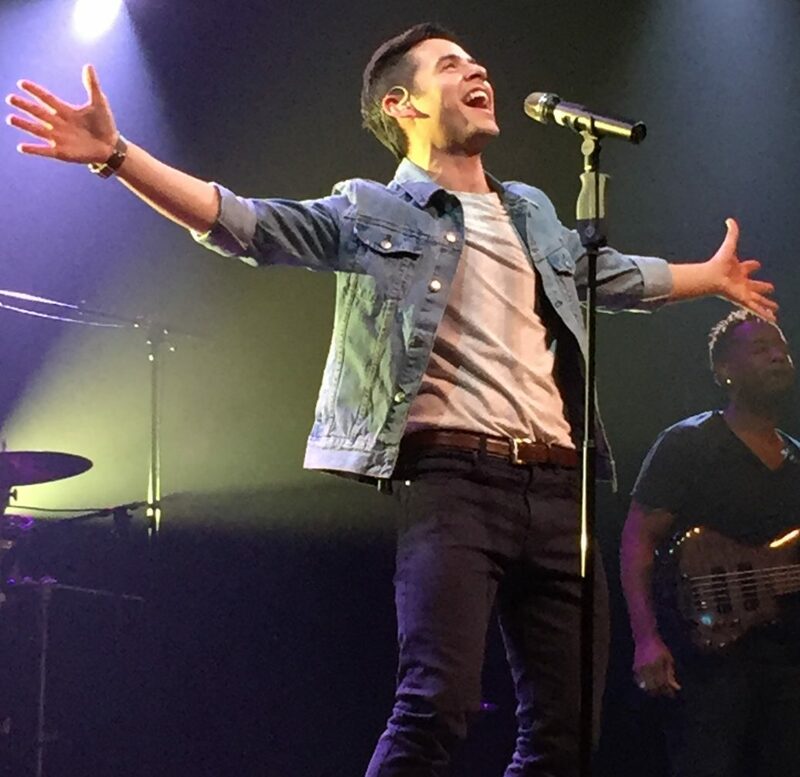 “BTW…the only “Calling” I have ever had that I can recall is the “Call” I received to follow this young man back in early 2008 by the name of David Archuleta. It was as if I had no choice. I could not explain it then and still can’t although I tried many times to no avail. I came to accept joyfully and wholeheartedly that David would be a part of my life for the rest of my life and stopped questioning the why’s. It is what it is and there’s no denying just as he is living his destiny, I have to believe many of us were also destined to be here for him for whatever reason.”…..just want to echo this. Thanks SF. One can see and hear how moved David was in India. Reading between the lines, I think the seed was planted. At the 5:34 mark. Listen carefully at he says, “.. how I’ll be developing as a person and as an artist, with my music.” Mark 6:25 ” I have control over my life. ” Over all,he is in a state of change and indecision. I submit these not to disagree with anyone’s feelings, but to demonstrate that David has given clues. It is we who were blinded by his charm, and missed his resolve for change in his life. I could not be more pleased for him that he can seek his hearts desire. Bliss so much of what you say is true…but here is the ‘wake up’ moment for me.He IS only 21.
when he was barely 17.when we fell in love with him… he amazed us with his wholesome innocence, and naivete, his freshness, his smile, his charm, and his VOICE.oh, that voice!! As ‘adults’ we saw his gifts,his potential, his uniqueness among peers whose talent and gift for sharing music,came no where even close to David,and for me, never will. .He has to learn things, we all, already have.We have watched him do it. and know that when he has chosen to follow his heart and his gut, he is fine.I had to remember the past few days, that following his heart has served him well, and given us so much joy, Increasingly, he blooms and flourishes under the Hand that guides him. Merry Christmas everyone!! 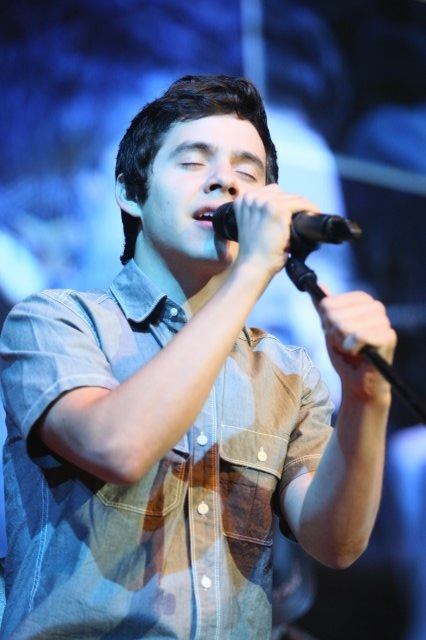 may we be forever blessed, with faith, family, friends..and with the voice of David Archuleta! Believe me I understand this pain. I converted from religions at a very young age because I questioned and questioned, it was not a very supported decision to say the least. Do I understand why? No, but I’m trying and you may have answered it for me. Even though this is a mission to serve which we all know he already does and will continue to do so he may need this time for him, for David. David is human, though we jokingly say he’s not lol He feels sadness, happiness, and everything in between. When I listen to TOSOD cd I hear what David is saying with new ears and as uplifting as the songs are David I believe in hindsight was trying not only to lift us but himself. We now know things were tough for him and to think someone was trying to block him from having MKOC tour. I don’t even want to contemplate the emotions he’s been going through because it causes me pain. So it leaves me with this. I don’t want him to go but I can’t begrudge him to do what he feels he needs to do at this time for “him”. This was my wake up call. Watch him at :50. That look on his face. David, I love you. Joyous Christmas greetings to everyone! I’m so happy The Voice will be here — while we wait through two seasons of snow falling and candles lit… till David completes his Mission. Am I saddened? No, I applaud him for his decision. Also, I’m very grateful for the opportunities I’ve personally had, first to be introduced to him through American Idol, then to go to his concerts and to actually meet him face to face, handshake to handshake, voice to voice. At Stroudsburg, HE ASKED ME if I wanted a hug!! I was startled; hesitated, but obliged! 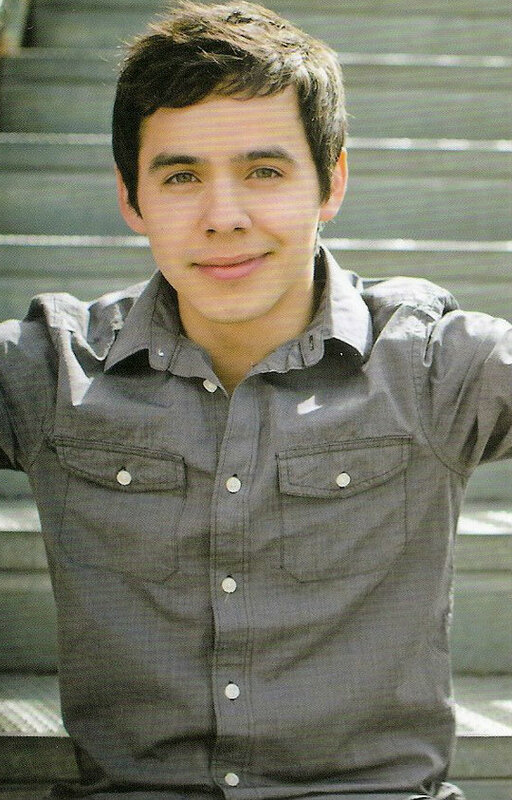 Can never say “No” to the Archuleta! David has given us more in song and comportment than we could ever repay other than to be generous and more loving toward others. I promise to support him throughout his entire career for as long as I can. Would love to have one of Miss Bianca’s calendars to mark off the months and days! #25 Thanks for the shout out Silverfox. I spent much of yesterday morning writing it after I got back. I sent it to TheVoice as well and Angelica plans to post it in the comments at some point. One thing Grateful4all_DA and I did on the day between SLC and Beaver Creek was write letters to David which included our wish for him and some goals we had. I will look to Volunteer more and re evaluate my own Spiritual Life. It will not ease the Loss but hopefully make a difference. I forgot to even mention that we went to Motab which of course wasn’t the same. We did notice the Dancers and Choir etc. this year. As Bliss would say: ” No one compares to David” Not even a Baritone with years of experience. I’d like to give a shout out to Dayzee too, who took us on a trip to Park City. She and Jan11 also went with Grateful4all_DA,Louise and myself to the Children’s Hospital to donate David’s GCT CD’,DVD’s,money etc. Merry Christmas to all!! Thanks Abrra for the videos. David did not make this decision over night. I can still see him washing that man’s feet and playing with the Children in India. When I read Pamela Pikes’ book, I found it interesting that the leader of Rising Star Outreach mentioned that they had planned on taking David around India to all the see all the sights before he went back home but he asked if he could stay and spent more time with the children instead. He told her he would bring his bags so he would be all ready so as not to inconvience anyone. A great example to all of us. The people that will have him the next two years are very fortunate indeed as we have been the last 4 plus years. Djafan, I remember now that David’s version of “Silent Night” was aranged by Richard Parkinson with another writer and also “The Cat and the Mouse ” was arranged specifically for David by Mack Wilberg. Perhaps these two songs then were attributed to David and required beinfg separate on the DVD/CD. Merry Christmas Eve! And Merry Christmas to those on the other end of the world!! May everyone have a great Holiday Weekend! Merry Christmas to all of you beautiful, kindred spirits!!!! P.S. 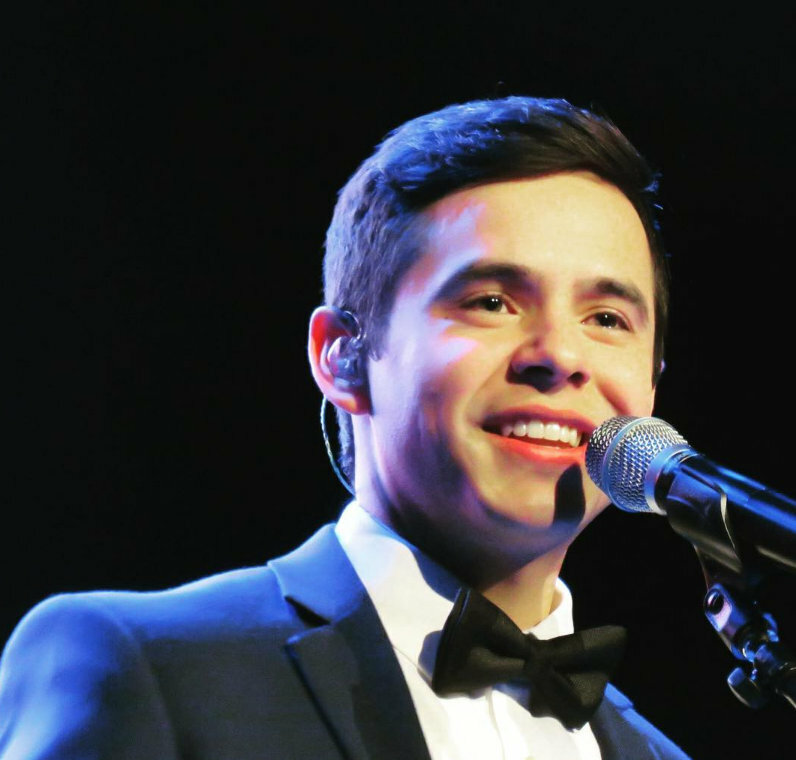 Going back to the previous thread, I think it was Abrra who commented on David’s performance of “This Christmas” at Salt Lake. This truly is his very best performance. It’s on my bookmarks and I NEED to watch it regularly. How his performance skills have grown is unbelievable!!! Can’t wait for what’s ahead. Also 8th row center’s video of the VIP of “I’m Trying to be Like Jesus” is just soooo sweet. We will all support and help each other to make it through the next couple years. My coping mechaism? I’m taking it one day at a time. I can finally listen to David’s music again but I’m under no misconception that this means that I’m healed. Ask me again when he leaves for his mission. I can’t promise anything. I feel like I’m losing my best friend and that’s not a good feeling. onion with a lot of layers. From the beginning we knew he was LDS and religious and that there was a possibility that he might leave us for awhile to go on a mission. Now that it’s a reality it’s too much to bear. It seems that his mind is made up and ‘there ain’t no stopping him now.” This is something he needs to do for his personal development. In the end, it doesn’t matter what we think because he’s the one who has to live with himself. One day at a time. Use resources like The Voice Unplugged. This site. Find other fans you can talk to by phone. Exchange phone numbers through email. Talking is good therapy. We gotta get through this. And we will. When we first met David, we knew that religion was important to him. We also recognized that he did not talk about his religion mentioning the name of the church or much else. We knew most importantly that he had convictions and beliefs and that they guided him to be as he was. This relationship has been this way for almost four years until now. He has told us that he is going on a mission but he still goes no further and that is example of his ethics, his values, his morals. We are drawing attention to the particular name of the religion, not David. You know there are missionaries who have gone on missions of their own from my church, from many denominations for as long as we have known about the various religions. There was a family of twelve nearby to my house and three of their children became missionaries from my church here in Canada. I believe that considering the several religions that we all represent, perhaps we could be more like David and not mention titles of churches. Google is a wonderful source of knowledge when one has a question about anything from the best receipe for cranberry sauce to finding out the details of a mission. Once you start to name religions and hear from people from that religion who say how we should feel about David and his call to his mission, then we are steering away from the man and his music. I wonder if he would like us to be talking about religion knowing that disputes over beliefs have been at the extreme end, the causes of religious wars for centuries and in more simpler terms the wedge that can hurt relationships? I was so pleased to see the picture of the little girl in the hospital with David beside her. If we want to adventure into what David cares about then perhaps we should find more pictures like that one. I don’t want anyone to scold me or any of my on line friends on how we should perceive David’s calling and perhaps that would end if we got back to basics that David is going away and we are going to miss him dearly. It is well established that he is loving and giving and will always work hard at whatever part of his world of music that he is in. I am hopefully bringing it back to his music because anything else takes us further and further away and out of the range of where be should possibly be, maybe? Merry Christmas, Joyeux Noel, Felix Navidad…don’t stop the music. SB’ have sent you a few e mails. Did you get them? Happy Holidays to all! Wishing everyone peace and love and many many blessings. But someone tweeted something the other day and this has stayed with me. "When you decide based on your the guidance of your heart, every argument becomes invalid." Wow, sb. Applause, applause. Thank you. This is an EXCELLENT audio mp3. It’s historical 🙂 Perfect for iPod . The file is too large for a CD. It will not be in the Candy Jar because it’s too large for Mediafire acct. I put it on MegaUpload. Rehearsal videos from SLC. Lovely! This is a behind-the-scenes look at the dress rehearsal of Oh Holy Night with the Lyceum Philharmonic. Later in the show, David sang this as the encore, after he announced to the audience that he will be serving a full time mission for the LDS Church. David has a message for his fans ! That is absolutely handsome and stunning and so very thoughtful! hi guys today is my daughters birthday,she and her huppy cam over for the weekend,she did not know about david,so we sat down and watched the videos from slc and low and beholed i did not shed a tear watching,,i am now ok with it looking to the fucture,watch him on tv tonight on fox,and pbs at the same time twice hows that love to all and merry xmass. That is some picture. It’s hauntingly beautiful, mystical and mysterious. The light is intriguing. David picked this picture for his greetings, wow. Just watched David sing Silent Night on Fox and Friends. Voice and guitar, acoustic beauty. Ray, like bebe says one day at a time. That is just great. I am happy for you! Possible ustream for the premiere of Wait!!!!!!!!!!!! What time is it over there??? Need to check. I may need to stay up some! Possible LIVESTREAM for the #WaitMV tonight for those who doesn’t have Channel V! It’s 7pm WIB tonight! Dang, why does that have to premiere tonight! That OS pic, my goodness. What an absolutely stunning shot. Is that on the coast? “angel on his shoulder”…love that bluesky. Emmegirl, It looks like the coast. What do make of it? Do you see his face? The gaze or look? Can’t mistake that handwriting! I’m so touched that David thought to send us a holiday greeting this year. Interesting pic with the sun on his back, lighting up the entire picture. Maybe some symbolism there, idk. In any case, what a sweetheart! First time posting here.. #61 Bebe “Maybe some symbolism there..” rising sun..Japan?? or is that a setting sun?? Merry Christmas to everyone here. This is one of the fansites that I check out everyday. You have many good writers here and I have enjoyed reading the postings ..and you are also very supportive of David, it makes me feel better to come here and peruse the comments. I am a big fan since day 1 and I am a bigger fan now, if that;s possible. I will also be among the many who will wait for David…no matter what. Merry Christmas! Thank you Angelica for your beautiful words. The theme of your post brought to mind a touching video that one of my children recently showed me entitled: “Wise Men Still Seek Him.” I thought it would be appropriate on this special day, and hopefully it will not offend anyone as it is an LDS video, but one with a beautiful universal message…a message that our David seems to understand so well. He is truly a modern day wise man. On a side note, I had a rather strange thing happen today. Of course it happened with a house full of people with a ton going on, so my detective skills were at an all time low! My son called from the other room and asked me if David had announced where he was going on his mission. This totally surprised me because my son doesn’t follow David at all, although he is aware that I am a fan. My son is around David’s age and returned from a mission not long ago. When I said no, he said that it just must be someone making stuff up. When I was able to get to the room a bit later, he had already deleted an email he had received discussing the location of David’s mission. He wasn’t familiar with the source and said that it was probably someone wanting attention or trying to stir up trouble. I got on line later this evening to see if the news had been announced, but saw nothing. Has anyone else heard anything? I don’t want to start any rumors or get anyone in trouble, and most importantly, I don’t want to violate David’s privacy, so admins, if you think it is best to remove this, then that is fine. Blisskasden I have never posted here before. I just want you to know I was very touched by your comments and agree with all of them. 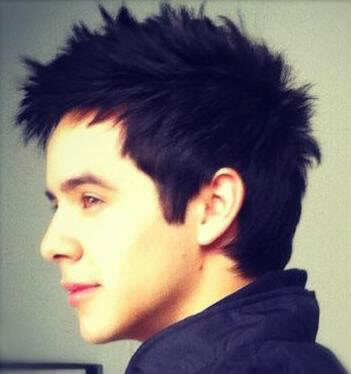 I wish David nothing but the best and this mission is his choice but there is no understudy for David Archuleta. I will leave it at that. David has some wonderfully supportive fans here. Merry Christmas to you all. Your post is fine. Thank you for not adding to the rumor mill. We will find out soon enough, when David wants us to know. As I think back on that night that rocked our world, for me it was the best of times for that announcement. Perhaps David realized we would need each other at that time. It was a night his fans were together, at the concert or at fan sites waiting for the pics and videos, watching the ustream. Although I did not see Tawna, Patti or Shawna after the concert, I felt their presence and knew their hearts were with mine. We left the concert hall and met other David people. Oddity and her friend, HeidiJoy and Grateful, JeaniUT and Jan were all at the same table and it was a great help to have each other. I want to thank them for helping me get through that night, especially Jan who stayed with me. I have an extra couple of posters from the VIP. I would love to send them to someone who would appreciate them. If anyone would like one, please let me know through the admins here. Hoping the admins do not mind me giving them that chore. admin edit: Dayzee that is a wonderful gift! Send requests to thevoiceda@gmail.com we will forward to Dayzee asap! Thank you for posting. Please make it a regular habit 🙂 We fans need each other to get through the next couple of years. Dayzee, Yes I’m glad we were together to share both the Joy and the sadness. I was so glad Grateful4all_DA had travelled with me to the concerts. We also had the opportunity to write to David in Beaver Creek and as we composed what we wanted to say with tears streaming down our faces it was painful but healing. Once we got through the song at VIP “We’ll Be There” it seemed we were able to enjoy the rest of the evening. 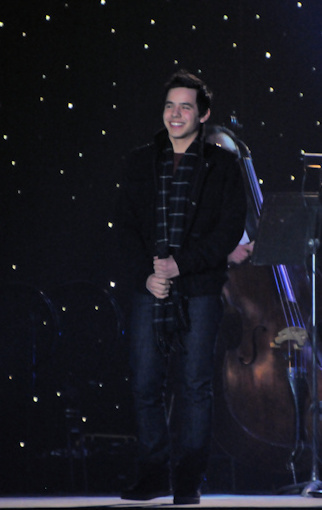 At the Family Christmas celebration, I got teased quite a bit about David Archuleta!! I noticed I felt more lively both at Church and singing Christmas songs at the Family gathering. As painful as it was ,it was full of joy too!! I’m thankful for the “family” we’ve created. “Gotta Get Through This” and “Wait”. Oh Boy!! Thanks for being here. Time for some Christmas PIC SPAM!! Keeping them smaller so I can put more without slowing the site too much. Thanks to Steven J. Robinson for being a wonderful band mate and supportive friend to David. Today I re-read David’s COS and got to know him more than the first time I read the book. In times of doubt, he will pray. After that prayer, he will plunge to take the risk in a decision with calmness. He is a man of faith and is willing to cast all his anxieties to God. I never watched AI not until one day I saw a teenager singing We Can Work It Out on a bus on my way home. After that I was interested in him and I will check on TV to watch with my mom whenever I am on time to watch the show. We cannot vote for him because we do not live in the U.S. but to make a story short, I became a fan. I have never been a fan of any celebrity except now to this young man. He brings joy to me not only by his voice but by being who he is. 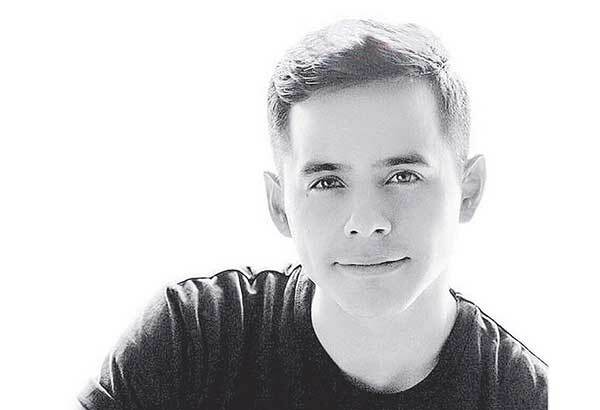 I was shocked when I took a taxi on my way home when the DJ on the radio mentioned that David announced that he will be a missionary during his concert. I quickly opened my computer to validate what I heard. What is my point you may ask? 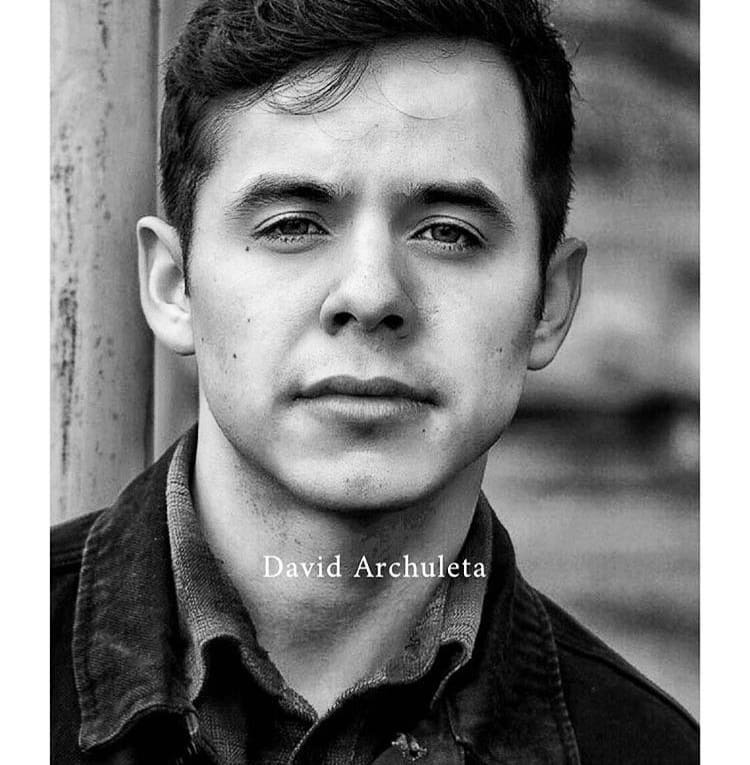 I think welcoming the existence of a singer named David Archuleta in a bus is not a coincidence and hearing him taking a break for 2 years is not an end for me to still follow and wait for him. Because one day after his 2-year mission, I may hear a news or his voice in a bus, taxi or in my car saying, “Hello, it’s David here. Still remember me?” I will always pray for him. I always come to your site and all of you here sure loves David to pieces. Merry Christmas to all!! Thank you for your story about your introduction to David. It matters not how you found him, but that you stayed and support him. I hope everyone is having a good holiday. These are trying times in the Archuverse so I hope that everyone is having a peaceful day. Hope #65, nice to meet you and thanks for your kind words of support. I appreciate it. I also appreciate all those who don’t agree with me. We are not here to necessarily share the same point of view on all matters concerning David. People tend to gravitate to others who reinforce their views and attitudes. This feels good, but does not lend itself to reexamination and the potential for change. As a self proclaimed “open minded” person, I am taking in all the views that conflict with mine, and they are helping me to find out what is really going on and why I feel the way I do. The greatest people throughout history (Martin Luther King, Gandhi, etc) inspired great passion and conflict. That’s how societies change. You never know who will come along and do that. It might even be some cute kid from Utah who finished second on a singing show. It is good to have you commenting again. Our meeting in Westbury was brief but memorable for me. 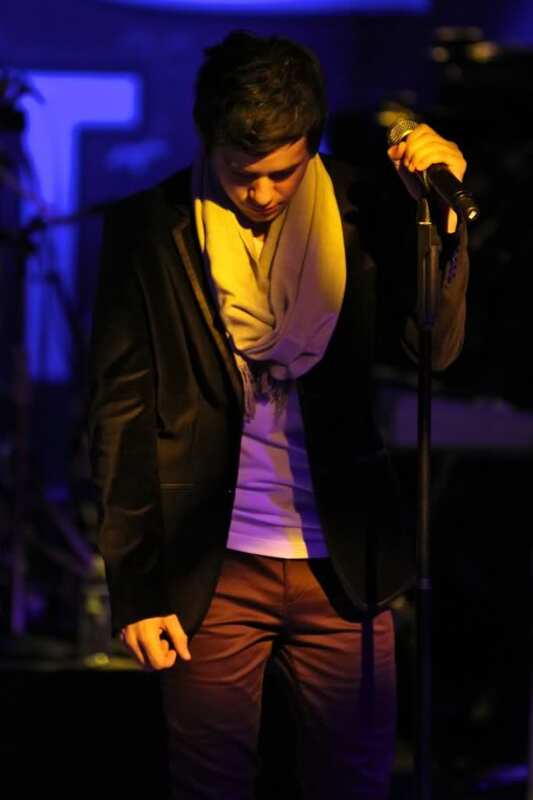 I look forward to the day when fans can meet in a quiet setting and share the joy that is David Archuleta. Your heartfelt comments about David are a comfort to those who read here daily. Would love to know the story you see in this video. Comments? Abrra, That Wait video certainly leaves itself open to many interpretations. Knowing now about him leaving soon for a mission, I couldn’t help thinking of it from that perspective as well, from both sides. His fans missing him, or possibly him needing to leave but wanting to hold on to us for just one more minute as well. Of course that’s probably just in my mind and not his. I guess I can’t help but see that possibility since the recent announcement. IDK There are just so many ways to read it. But I guess that’s what he wanted, for it to represent any kind of loss.. Interesting video. Oh … PS, the mission angle is more from the lyrics and David expressions rather than the actual video scenes since they don’t show any crowds or anything. As for the scenes themselves, the ones that don’t show David, I actually don’t have a clue as to what it actually represents other than the rewind at the end wanting to turn back time. The video contains much symbolism which will keep us analyzing and deciphering for, lets say, 2 years. In the meantime, the song itself is a masterpiece. In a world where mediocrity masquerades as excellence, David shows us what real excellence looks like and sounds like. 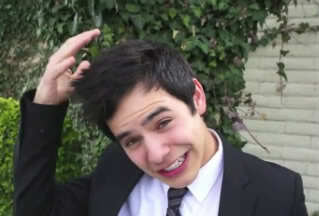 As for David in the video, even when he’s showing heartache, he’s still the handsomest guy in the world. I’ve never encountered anyone with more style and substance than David, and it’s 100% authentic and organic. The night fans gathered after the announcement, many of us thought of the lyrics of the song. The song took on new meaning. Like MT ,it could also be David wanting us to Wait-hadn’t thought of it that way. Now that the video is out, I agree with Bliss. We will have much time analyzing and deceiphering. The rational part of me wishes that David would just tell us what the songs means and what the various scenes mean. In any case, David is so handsome and the song is so great. I’ve liked that song the best since the Asian Edition came out. 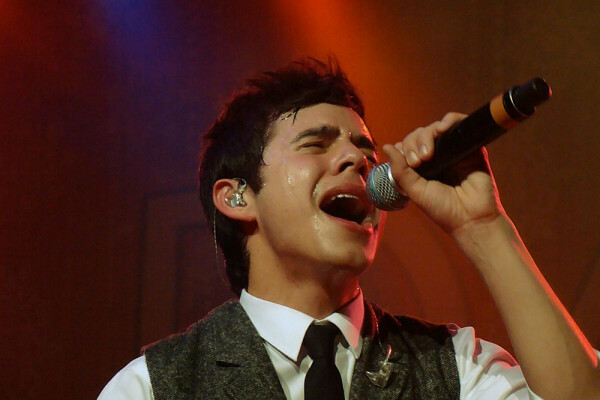 David sings with such passion and is so handsome. I watched without sound just to watch David. His expressions fascinate me. I love all the face time he has and I’m with MT and many on twitter and in the comments. Many interpretations can be made. The one thing that I’m certain off is the reverse but then it goes back to interpretation, reversing what? Wait MV trended worldwide. Pretty good. Welcome to Hope and Woaida to The Voice. We do love us some David around here. Please come back and share your thoughts. An old friend tweets David! 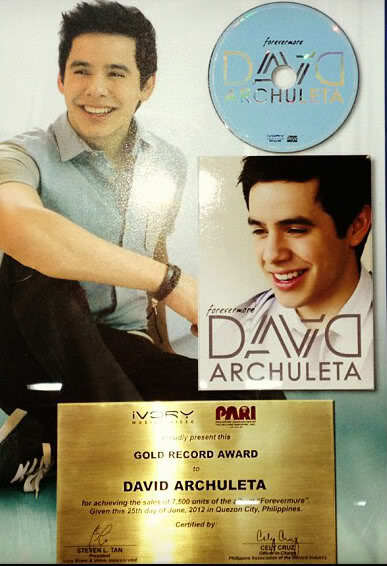 Yes @DavidArchie! Nana told me to change the channel really quick to see you! You sound amazing. Merry Christmas! I loved your comment! To me it represents the connection of what we cannot see: the turnings of un-looked-for wonder that work without our knowing, for our good. They invite us to believe that there is so much to look forward to; things we cannot now imagine. No, there is no understudy for DA. Yet still, he was prepared and showed up when he was needed, without our knowing of his existence beforehand. I take this as a promise, from unseen holders of bounty, that there is more goodness in the world than we know… and more watchfulness for our care than we can conceive. A very Merry Christmas, Happy Holidays, Happy New Year and Joyous Noel! Bliss,love your way with words and the many times you have spoken so eloquently about David over the years.Eloquent, I am not, but you have often said exactly what I have felt so many times .. So, I hope everyone has been enjoying their day today with family,friends. Just me and the cats here, and a turkey, in the oven.Love y’all! Skydancer1x #84, writing about David has been one of the most satisfying experiences in my life. Whatever eloquence I have shown belongs all to David. He has ripped open my heart and unleashed that which has been bottled up for too long. His departure will not close my heart, however, because David is still in there cleaning out the remaining debris. I realize now that, in many ways, I have been on a Mission for the past 4 years to show David my gratitude to him for all he has done for me. 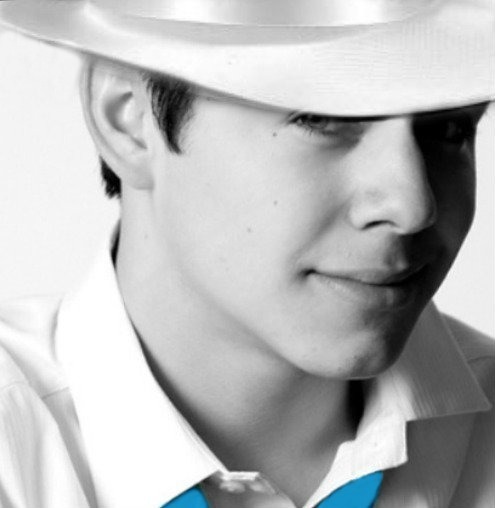 David will always remain in my heart, so he will always be “here”. I wish the same for all of his devoted fans. #85 Yes David is the most talented and most humble person I have ever met. Watching and reliving Motab from last year right now on PBS even though I’ve already worn out one DVDwatching it. (Luckily I have extras) The polish and humility he showed, when at 19 he was asked to be part of this event that he and millions of others had admired for years is breathtaking. I thank God that I was there to witness it. In interviews he praises others before him without belittling his own talent and with an attitude and willingness to do his best. Merry Christmas The Voice, thank you for all you do and for the promise of waiting together… it helps a lot. Welcome to all new posters, here and in the last article! Glad to have you. We need each other now and in the near future for survival. Merry Christmas, Happy Hanukkah and Happy Holidays to everyone. Hope you’re having a joyous yet restful day with family and friends or doing what you like. #86, have you watched the rehearsal videos in comment #49? There are two, one far away of the whole stage and one closeup of just David. David gave one of the most magnificent performance of Oh Holy Night at that rehearsal, IMO. For a rehearsal it sounded more like a perfect recording for a cd. Who else can sing this well? Nobody. The audience is blown away. But instead of waiting for or even taking the praise, David’s immediate reaction is to thank the orchestra. Such a humble guy. I’m glad Angelica captured those frames from the new Wait video. I’m with dja, they gave David a lot of closeups in the video. I always say he is a man of a thousand faces. Curious to see what acting plans he has, if any. I have decided that I will need 2 years to figure out what that director was trying to say in David’s Wait video.It’s either very simplistic or too deep to comprehend. Bliss – Your comment above was so heartfelt and beautiful. I know that so many of us wish David had made a different decision. You are so right about him being special. Thank you for your open expression of what your heart feels. #90 – Abrra — phew! So glad it’s not just me. I can’t figure it out either. I’m confused. Others seem to see meanings of some kind in the video but it escapes me. Of course, David did say it was symbolic but what does it symbolize — loss somehow? As you say, further study is required and I will do that diligently for however long it takes. Marlie7, thank you. David has been blessed to have you as a fan and I fondly remember your great company at the pre concert dinner you and I were part of in Montclair 2 years ago. If the next 2 years go by as quickly as the last 2 seems to have gone by, I think we’ll all pull through this thing in good shape. That concert feels like “yesterday”. Abrra, after watching that video of “Wait”, is it possible that David intentionally made the symbolism so complex that we will have to spend the next 2 years trying to figure it out, thus making the time go by quickly? Bliss, I’m so appreciative of your words. Even when I sometimes don’t completely agree, I value the fact that they are coming from your heart, and that that heart loves David every bit as much as I do. It may make more sense to those of us that are LDS as to why David is so willing to leave his career for 2 years to serve a mission for the Lord, but that doesn’t mean that we aren’t feeling a great sense of loss. I am getting dizzy from the swinging back and forth that my head and heart are doing —> yes, go and serve, I can and will wait for 2 years —> no, wait, wait, wait, don’t go, we will miss you too much. In the end, when my swing slows down, I know, without a doubt, that I will 100% support David in this decision. He HAS to go. He NEEDS to go. His need to follow the promptings that come to him is of the utmost importance to him. I love him for having the strength and the courage to follow those promptings that have come to him as answers to his prayers. Like I said “it’s very simplistic” which points to what David has told us about the actual song being about losing someone you care about, due to them passing. Having him stand 6 inches from the camera and look sad while 2 Asian actors play out some vague scene, feels very disconnected. Is David a narrator again with the relationship being between the 2 actors? Is that David’s girlfriend? If so who is the guy?I am not sure they accomplished David’s theme with this video. I’d have much rather seen David singing the song in various natural settings like a field or walking a path in the woods with his lost one appearing in ghostly silhouette in some cut away scenes. It might be the cultural difference that is in play here. I may never see what was intended. I am not getting the emotion of the song from the visuals. The best part is just having David’s face on camera. I am not certain that David had much creative input other than to sing/act as directed. I can see the director’s idea of sadness and tears (low lighting and rain). The elements of time shifting by reversing the film fits somewhat with the lyrics (If this is just a dream, I won’t give it back.”). What is the reason that David is sad? What happened to whoever it was he cared about? Is this the girl? It’s too vague.Not enough information. I shall have to consult my spirit guide for further explanation. I will sleep on it. Tawna21, I realize that I may sound like some kind of non believing heathen, but I do not mean any disrespect to the LDS or its followers. I appreciate your sharing the feeling that you, a fellow LDS member, are also feeling some conflict over David’s decision. When I saw the audience in SLC erupt in uncontrolled elation when David “dropped the bomb ” (sorry), I assumed that this was the reaction by ALL Mormons. I thought, “All these people ,who are obviously great fans of David, are actually thrilled that he is giving all this up for 2 years”.Then I thought, “if David had made this announcement in Westbury or Irving Plaza, there would have been the loudest collective groan in history heard form the audience. Can you share your impression as to how other LDS fans are feeling about David’s decision? As Angelica says, “Have moicy!” POWER!!!! Abrra, I have never been a big fan of videos to begin with. When I was a kid, it was all about the song. There was no video accompanying “Purple People Eater” or “Runaround Sue”. No one cared what the singer or group looked like. You either liked the song or you didn’t. ‘Wait” is a great song, and is in my Top 5 all time David songs (and moving up on the charts every day). Symbolism, shmymbolism. 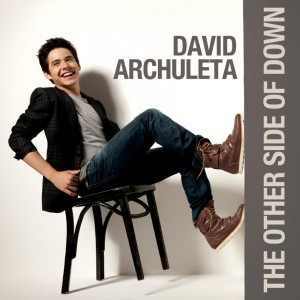 it’s still a great song, and if this were a different time, it would would be the “pick hit of the week” this week, #1 on the “Top 40” next week, and stay there until it was replaced by another David Archuleta song. Happy belated birthday, Abrra, and happy holidays to all. Interesting video for “Wait”. It reminds me of a very bad dream and how when you wake up everything is very disjointed—–you can remember bits and pieces, and the feeling you get when you try to remember it fills you with some sort of despair that you can’t really explain. I’ve had these kinds of dreams before, and they usually come when something bad has happened in my life. I am with you. Performance videos are fine. I don’t really care if David makes an interpretive video, but I think the young fans grew up with them, so that may be the target market. Just give us the voice! I find that I share similar thoughts Bliss. I am so pleased that you express your thoughts on the subject that is near and dear to us. Well how long will it take to figure out the true meaning of the video? David just tell us and make it easy!! As this beautiful Christmas day comes to an end, hope that it was filled with warm memories of time spent with family, friends and visitors. It felt good to have a family member bring a fellow student who is from out of state and make them feel like part of the family. We laughed, joked, shared stories, played games and. of course ate lots of good food! A year from now, a fortunate family will care and do the same for David. I understand why Christmas with famiy is so important to David and know how special today has been for him. So as we remember the true meaning of Christmas, may the spirit and joy of this holiday season bring peace, happiness and lasting friendships as we continue on our journey of supporting David. A belated happy birthday toSweetonDA! Hope it was a special one! I love a good puzzle but there are just too many questions in this video. Why did the man knock into David at the end of the video? Why are there papers flying around? Is the young girl a child version of the woman shown at the beginning? Greetings all!. I hope everyone here at The Voice had a wonderful day yesterday. I’m with most of you here about the video. I don’t quite understand it. I’ve tried to watch it with and without sound to see if that helps, but I’m still at a loss. I don’t do abstract concepts very well. I asked my photographer husband what he thought it all meant and he said he doesn’t see death. More on the lines of letting go of something or someone that you just can’t have. I also asked my 20 yr old daughter for her opinion. She had not listened to Wait before and said she really likes the song, but the video is way to confusing to her and she didn’t like it. No idea what it all means. I hope David explains it to us. I don’t like to be confused. The Wait video has me perplexed. Not sure two years is gonna be long enough for me to decipher, lol. PandasMama, your husband’s take was interesting. I have always thought there was a certain someone that he pines (for lack of a better word) for. Someone he wishes was in his life. Can’t quit listening to the concert and the VIP songs from this tour. His singing resonates with yet again another level of maturity and depth. The performances from this tour is what will sustain me for the next two years. There has been mention of recording and possibly a single(s). The mere thought of more David music before he departs makes my heart sing. I am trying not to think about it too much or get too excited. If it doesn’t happen, for whatever reason, the disappointment would be just too much. I just have to say that as much as I personally am going to miss David for the two years he will be gone from the music business while serving his mission, I also couldn’t be more proud of him for living his life in a way that is right for him. David’s announcement to serve an LDS mission has brought some wonderful positive attention to him from those who knew very little to nothing about him other than that he was on American Idol. I must admit I am also LDS and yesterday when I attended my church service for Christmas, so many people came up to me wanting to talk about David. They were all so proud of his decision. Some of them even wanted me to keep them up-to-date on any more news that may come about his mission like where he will be serving. lol Everybody at my church knows how much I love David, but they have never taken this kind of interest in him before. I think there may be some new fans in the making here! I truly believe that as hard as these two years may be for all of us fans who will miss him deeply while he is gone, David is going to have some amazing life experiences that can’t help but make his music upon his return even more emotionally powerful and heartfelt than it already is today. I have your email. No worries. I did some editing 🙂 I sent you a reply and a request email. If you live near Daytona, FL and want to chat with Ray , send email to thevoiceda@gmail.com. I will forward your letter to him and let you all work out the details. I see I’m not alone in my confusion. Like Abrra, I would have liked more of a relationship concept. Ghostly showdows of him and a girl in the distance while he looks on (we could be left wondering if it was family, a friend, a girlfriend), memories of times past, reaching out but not being able to quite reach it. This one, is just too sad as I interpret it. Then again, I’ve read some saying that it’s positive, about taking each moment and savoring it while you still can. I guess it depends on our POV. I’m not sure what that video meant. Very confusing, and I’d rather see David smile and look happy, as I’m sure he must feel now that he’s announced his decision to do his Mission. Here’s a poem that describes the way I see this decision. with instructions just for you. That is a lovely poem. It describes hearing the call to serve and the courage to answer. Well done! Thank you for coming by to share your thoughts. Thanks for the kind words. I love this site. It’s the only one I read all of the comments on. I do look at other sites, but this one just seems more in line with the way I feel. Also, it’s nice to hear what other women, and men, closer to my age think. I have a grandson David’s age. When people ask how many grandkids I have, I feel like saying 6, instead of 5, because I look at David almost as a grandson. He’s just precious. I know God will bless him beyond measure for following His call. I have a feeing that blessing will overflow onto those of us who are waiting for David to come back. As they say, good things come to those who wait. Interesting all the interpretations of Wait. I just don’t know but the song and face is enough for me. The emotions of the song are loud and clear to me with every expression. Beautiful poem. Reading all the comments and I appreciate everyone sharing all the different feelings. I don’t see a right or wrong way to feel, all are emotions that are real to each one of us, they are all rooted in our love for David. That is the correlation between us all from day one. Today I wish the day of his departure would hurry up and be here so we can start counting the days of his return lol. Djafan— hello. I have met you on numerous occasions at David events, this past round in Ventura and Anaheim. I was in LA but not sure if I saw you there. In any case, I wanted to say hi and thank you for all your thoughtful posts I have seen in support of all the fans and our raw emotions since David made his special announcement. I myself am still up and down with my feelings. Although I know this is what David wants and needs to do at this juncture in his life and will be a better person for having pursued this path, I am having a really hard time reconciling myself to the fact that he will be gone for two years without a word from he himself. This makes me so sad however the worst part of this is although David himself said he plans to return to recording and touring upon his return, I am afraid that he will change his mind and/or things don’t work out and we will never see or hear from him again. I don’t know why, but I keep playing the worse case scenario in my head and when I do, I feel myself falling into a state of sadness that is difficult to climb out of. I have found you posts heartwarming and encouraging so I just wanted to drop you a line to thank you for the encouragement and to thank the administrators of The Voice for sticking around and keeping the site open. I am going to need it. Thanks for listening. Have a healthy and happy new year! Just thought of another interpretation of the video. The young girl represents David’s childhood wish to serve on a mission. She is spiraling away from him as he deals with the business of music (man in suit) and fans (woman in suit.) he regrets his missed opportunity and tells music world (who brushes by him angrily) and fans (who drop everything in shock.) But then he’s able to turn back time and capture his lost chance. Abs, back to the pic #51…he looks to me like he is saying with great determination…”Don’t let the sun go down on me”…and there you see the sun going down but just look at his eyes and his strong jaw…there is no sun going down on him !! It has been Boxing Day and all is quiet in the streets…it’s basically exhaustion! Bliss #96… I think as LDS fans, we are happy for David that he has the courage to go on his mission and leave his career for 2 years. It really is something that our young men are encouraged to do. It is not required of them. I have two sons and neither one of them chose to serve a mission, and yet they are wonderful men (yep they grew up on me) and great fathers. While we are happy, we also feel the same loss as all of you. David will not be ‘available’ for the next 2 years and that is a hard pill to swallow. Abrra #97~~and that is what I saw that night…power and conviction…that video brought back the goosebumps and moist eyes that I had that night Dang, I love this man with the golden Voice! Bliss #98~~ I loooove it “#1 on the Top 40″…. I feel really old when I can laugh because I remember ‘Purple People Eater’ and ‘Run Around Sue’. And, ‘Wait’ is in my Top 5, also. Lynella, your poem is perfect! Thank you for sharing it. DJAfan #115 “Today I wish the day of his departure would hurry up and be here so we can start counting the days of his return lol.” Yeppers..me too! Lynnella – love the poem – thanks for sharing it! Lynella, your poem is lovely. It’s things like your poetry and many of the comments here that are keeping the smile on my face. Not the tears flowing. Thanks everyone! Thanks everyone for the kind comments about the poem. I wrote it after I heard his “Special Announcement” on live stream, and finished picking my jaw up out of my lap (lol). At first I was stunned, then sad, and finally I realized that this was something that God was prompting him to do, so who am I to argue with God. David is a very spiritual person, and I’m sure he knows God’s voice when he hears it, so I trust him to do what’s right. I will miss him just like the rest of you, but will also be waiting here with the rest of you when he returns. David, go with God.